Wildwood is looking for an experienced Education Officer to join our award-winning team. As No. 2 in the education department, you will be working with children, students and the public, communicating Wildwood's wildlife conservation message to the widest possible audience in innovative and inspirational ways. This is definitely a job for someone who wants to work with children and the public, not for someone who wishes to work specifically with animals, and the majority of teaching and presenting takes place out in the woods, whatever the weather or season. It is not a classroom-based teaching position. Please visit www.wildwoodtrust.org to download and read the full job specification and complete the application form. Completed applications should be returned to Claire Hardy, Wildwood Trust, Herne Common, Herne Bay, Kent CT6 7LQ (email claire@wildwoodtrust.org) by 5pm on Friday, September 23, 2011. Applications will not normally be acknowledged. Shortlisted candidates will be contacted for interview in late September. Wildwood Trust is very disappointed that the Government has given a green light to new proposals to allow landowners to shoot badgers. Wildwood Trust very much recognises Bovine Tuberculosis (bTB) as a significant problem that causes hardship for many in the farming community, but believes that blaming badgers for bTB is just a scapegoat for the industry to avoid their responsibilities and avoid the cost of bTB control, while at the same time collecting huge subsidies from the taxpayer. "Wildwood Trust is coming to the defence of badgers as they are used as a scapegoat by an industrial farming lobby determined to hide poor farming practices, cruelty, massive taxpayer hand-outs, fraud and illegal practices that could end up in serious consequences for the British public. The badger debate has been around for a very long time, over 40 years, but behind the simplistic headlines that badger lovers and farmers are at loggerheads is a much more complex and subtle story, a story full of intrigue and vested interests competing for economic advantage. A whole generation of farmers and 'country people' have grown up being told badgers are the main problem, but have forgotten the basic epidemiological science of bovine tuberculosis (bTB). The farming lobby have found it much easier to blame badgers than address the fundamental problems of cattle farming and the poor practices that have led to the epidemic of bTB in the British cattle herd." bTB was a dangerous disease and could infect people, mostly through drinking milk. The introduction of pasteurisation effectively stopped the disease being transferred to humans. Over this time strict controls on cattle movements and herd quarantine ensured a reduction in bTB across the UK . Since the 1970s these restrictions have been relaxed and the bTB has increased due to this lack of controls. Changes in intensive farming practices have also contributed to the epidemic, as cattle live in larger and more dense groups and spend more time in large sheds and stockades increasing the spread of bTB. The larger groups ensure that bTB that is carried by few animals sub-clinically acting as a reservoir for the bTB going unobserved and be allowed to flare up again. This is the process that the farming lobby are trying to blame badgers, without credible scientific evidence. 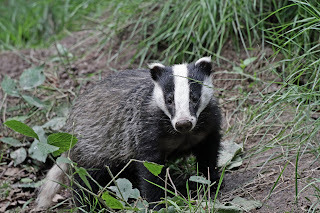 Cattle to badger bTB infection has been well demonstrated, but there is no evidence that can prove badger to cattle transference on the farm and the extent of the problem, except by guesswork or inference. "I myself have a degree in Medical Biochemistry and my knowledge of how TB works leads me to agree with the leading scientists in the UK that have repeatedly stated that a badger cull would not reduce the incidence of bovine TB. This leads me to the conclusion that the farming industry is using Badgers as an emotional tool to wrestle even more taxpayer's money to subsidize intensive agriculture; instead of spending it on protecting our environment." The present system of subsides rewards poor practice, the solution is to make the farming industry pay for their bad and illegal farming practices. The best way to achieve this is by the withdrawal of all government subsidy and compensation payments. Farmers could then privately insure themselves against the risk of herd breakdown due to TB. This free market solution would reward good farming practices by them having lower premiums. Farms with poor risk would be charged high premiums and those farmers who commit fraud by changing ear tags and other illegal practices would invalidate their insurance. Detailed statistical analysis has shown that it is the movement of cattle from one farm to another that is by far the most important factor in the spread of TB*. The reintroduction of the strict quarantine measure abandoned in our past is key to control of bTB in the UK. 4. Introduce economic changes to taxation and land tenure to promote less intensive agriculture. Our present System of taxation vastly favours tax-dodgers, large landowners and investment in huge capital infrastructure . By removing taxation on all wages and trade, from which we currently derive our income and removing the tax perks of buying large machinery and replacing that government revenue with a rent on the value of all land and a taxation of natural resources such as oil and minerals at source we would create many more rural and farming jobs and reduce intensive inputs of artificial cattle feeds. This rebalancing of our economic climate would allow less intensive farming to compete on fair terms with the modern industrial farming methods and reduce the spread of disease and poor quality animal husbandry. 5. The most probable culprit of the rise in bTB is when strict quarantine laws where relaxed 40 years ago, the bTB we see today is just the epidemiological statistical results of that relaxation, magnified by larger herd sizes (increases the chance a 'dormant carrier' infecting a herd) and greater densities in cattle sheds. If you agree with my view point you can explain, in your own words, why killing badgers is not an acceptable solution to the TB problem. Ask the Government to base its policies solely on cattle controls and credible scientific research. Wildwood Trust is coming to the defense of badgers as they are used as a scapegoat by an industrial farming lobby determined to hide, poor farming practices, cruelty, massive taxpayer hand-outs, fraud and illegal practices that could end up in horrifying consequences for the British public. Summer is here at last and it's the perfect time to visit Wildwood. There's loads going on around the park this summer so check the "What's On" board and join in the fun on your next visit! FREE talks and feeds at enclosures every day. Go wild in the adventure play area and drop slide - open every day for all you thrill-seekers! See our new animals: Baby badger, polecats, wild horse foals and little owls. Come and meet local authors Jacqueline Nicoll and Pamela K Rees for a day of story telling and craft activities in our Education Centre. Each session, based around the authors' books, encourage children's awareness and involvement in our natural environment. Come and hear a story, watch art demonstrations, make paper frogs, animal masks, bookmarks and much more. Signed copies of both author's books will be available to buy on the day. More information can be found at www.jacquelinenicoll.com and www.wildabouteastkent.co.uk. These events are free (membership or park entry fees must be paid), and there is no need to book, just attend at the start of you preferred session. Suitable for all ages, but all children be accompanied by an adult. Learn all about the edible wild fruits (and perhaps taste a few) on a woodland discovery walk with our Natural Heritage Officer, Steve Kirk who will be on hand with recipe ideas and homemade preserves for you to try. 2-3pm Free event (membership or park entry fees must be paid). Must Book (call the office on 01227 712 111) – Please note that this event is not suitable for young children or children in pushchairs. Wildwood has welcomed its newest animals, a pair of young little owls. Little owls are Britain's smallest species of owl and at just over 20cm in length, are only half the size of a tawny owl, our most familiar species. The owls, a brother and sister, were found in a workshop and were the only surviving pair of their brood after their mother had sadly died. They were rescued by the owner of the workshop and brought to Wildwood where the keeper team have been taking care of them to build up their strength. The owls are in excellent health and are now on public display, but won't be able to go back to the wild as after being hand-reared they are unable to fend for themselves. The pair, now around 15 weeks old, have been named Tip-Ex and Bostik, after the Wildwood keepers had to mark one of the owl's claws with a spot of Tip-Ex in order to tell them apart. They are both doing very well and are settling into their enclosure, where visitors can see them as they practice flying from perch to perch. Head Keeper Paul Wirdnam said "We are really pleased with how the owls are settling in, it's hard to believe that they are almost fully grown as they are such small birds, but that's what makes them special." Don't forget to look out for the new pair next time you visit the park! Following the recent announcement that the government intends to press ahead with a badger cull to combat bovine tuberculosis (bTB), Wildwood has joined the fight to stop the cull. Wildwood agrees that bovine TB is a problem that needs to be addressed. It has blighted cattle farming in the UK for decades and costs the taxpayer millions of pounds every year in destroying cattle and compensating affected farmers. However, we believe that a culling badgers is a short-term and unsustainable approach that will do little to address the problem in the long run whilst needlessly slaughtering thousands of healthy animals. Rather than a cull of badgers, the issue of bovine TB needs a long-term, scientific approach that deals with the problems of modern, industrial cattle farming. Our government and farmers need to work together to find long term, evidence-based solutions that include badger vaccinations, better farming practices and improved cattle welfare. The lynx, or 'European tiger' was native to Britain until the middle ages, when it became extinct due to hunting and habitat destruction. Lynx were hunted for their highly prized, soft, glossy fur and much of their forest habitat was cleared to make way for agriculture. They were the first of Britain's large carnivores to disappear, followed by the brown bear and the wolf. Today it is still found in more than 25 countries in Europe and Asia but it has also become extinct in many other countries where it was once native. Eurasian lynx are not classified as endangered, although in some parts of their range they are very rare, living in small, isolated populations. By contrast, its cousin the Iberian lynx, is the world's most endangered cat. Lynx are characterised by their stubby tail, tufted ears, short back and long legs. Some researchers believe that the ear tufts help the lynx to hear well, others believe that they use them like whiskers to feel things. Lynx are officially classed as small cats, unlike lions and tigers which are big cats. As they are small cats, lynxs' pupils close to a vertical slit whereas big cats' pupils close to a circle. Lynx are woodland predators and the Eurasian lynx is the largest of the four lynx species found worldwide. Lynx are smaller and lighter than wolves and are lone hunters, so they generally do not hunt very large prey. Their main prey is roe deer (Britain's smallest native deer) as well as rabbits, hares and large birds. Lynx have very effective camouflage and their large padded paws allow them to approach their prey very quietly. Like all cats, lynx are very good at jumping, using their powerful hind legs (see our amazing video ) and are also excellent climbers, gripping with their sharp claws. The lynx is a stalk-and-ambush hunter, and hunts by slowly sneaking up on its prey, while the prey is busy eating and then pounces on its victim. Lynx rarely chase after prey, instead they will hide behind tree stumps or rocks and wait until a potential meal walks by. Lynx are solitary animals and males and females only come together for breeding. During the breeding season, between February and April, a male and a female may be seen hunting together for a few days. Lynx kittens are born in May or June in dens found under fallen tree branches, large tree roots or piles of rocks. Lynx have 1-5 kittens in a litter and the mother raises the kittens by herself. Lynx kittens are born with their eyes closed and their ears folded shut and will nurse for four to five months, before being weaned from milk to meat. Young lynx can fend for themselves at the age of 10 months, but they usually stay with their mother for up to a year and don't reach adult size until they are 2 years old. Recently, several European countries have reintroduced the lynx very successfully and their possible reintroduction to Britain continues to be debated. If lynx reintroduction were to go ahead in Britain, it is likely that it would take place in Scotland first of all, as there are fewer urban centres and more suitable habitat there than elsewhere. Lynx are not a threat to humans as they are too small to prey upon us and in the wild they are naturally shy and solitary animals which are rarely seen. Lynx also pose less of a threat to farm animals such as sheep than might be thought, preferring to prey upon rabbits and roe deer wherever possible. have large paws that act like snowshoes for walking across snow. are the third largest predator in Europe after the brown bear and the wolf. get their name from the Greek word meaning light, possibly in reference to their shining eyes. can purr continuously because they are small cats, unlike big cats such as lions and tigers which can't. Watch our video of our lynx performing her amazing jump here. Wildwood is urging its members to sign the online petition to save the BBC Wildlife Fund from closure. The recent announcement by the Beeb that they intend to close the fund has left wildlife charities and conservation groups reeling and in some cases, worried for their future. The BBC Wildlife Fund was set up in 2007 as a charity to raise money to conserve the wildlife and environments made famous by its wildlife documentary films. Since its inception, the fund has raised nearly £3 million in donations, the entirety of which has been used to support 87 British and global conservation projects. Wildwood received a £15,000 donation from the fund in 2009 to support our water vole captive breeding programme, which is helping to protect the UK's most threatened mammal from extinction. Beth Flowers, Wildwood's fundraising manager said "We are extremely concerned by proposed closure of the BBC Wildlife Fund, as a legally separate charity from the BBC itself, it is financed entirely by donations so it's closure will not save the BBC any money. With its world famous wildlife programmes, the BBC is perfectly placed to raise awareness of conservation issues around the world and the loss of the fund will be a huge blow to many charities such as Wildwood who are working to save wildlife." To sign the petition to save the BBC Wildlife Fund, click here. This month we would like to say thank-you to an unsung hero of Wildwood, our friends at Herne Bay Mobility, who are also based at the Wealden Forest Park. By kindly loaning Wildwood a mobility scooter for visitors to use free of charge, Herne Bay Mobility has been helping people with walking difficulties get the best from their visits to Wildwood. We are very grateful to the team at Herne Bay Mobility for their assistance, it's thanks to the the combined actions of local supporters such as them that we can make Wildwood a special place for all of our visitors. If you would like to use a mobility scooter on your next visit to Wildwood please contact the shop on 01227 712 111 (24hrs notice required). Please note that we have limited availability so book early to avoid disappointment. If you would like to learn more about Herne Bay Mobility, visit their website here. As a conservation charity we rely on donations to help keep our conservation work going and look after our animals during times when the park is quiet (i.e. winter months). We also rely on donations of goods and services to help run the park and preserve our funds for our vital conservation work. 1) Donate by text - You can donate by text via the Vodaphone Text Giving service. To donate simply send a text to 70070 - with WILD02 and the amount you would like to donate (for example WILD02 £10), you can input any amount from £1 to £10. Once your text has been sent you will receive a text with a link to a Gift Aid form (if you are a UK tax payer, Gift Aid boosts your donation by 25%). 2) Donate online - You can donate any amount via our website, simply click here to go to our donation page on our website. Laptops (less than 5 years old) - for use by our conservation and keeper teams when visiting other sites and around Wildwood. Flat-Panel TVs - To enhance our educational facilities. Large plastic storage boxes with lids - for use in our new conservation building to store equipment safely out of the way of small creatures such as dormice and water voles should they get loose. Wicker baskets with handles - for the keeper team to keep tools and equipment in, and hang up out of the way of animals (and wildlife in the park).